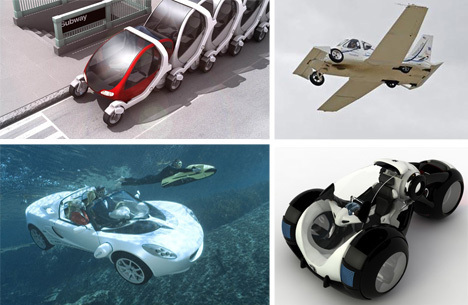 From two-and-three-wheeled concept cars to real-life transformers for land, sea and air, the idea of all-terrain vehicle is starting to take on new meaning both on and off the ground. In this second and final installment of our Lincoln-sponsored automotive design series, we switch gears from past to future as WebUrbanist explores the wonders of cutting-edge car concepts and soon-to-be realities. Vitaly Kononov is a Russian designer whose experience of narrow cobblestone streets has yielded a remarkable vehicle sure to avoid gathering moss as it zips in and out of urban traffic. Elegant simplicity at its best, the so-called Rolling Stone car uses two large wheels that span the entire circumference of the slim and efficient circle-shaped automobile, neatly looking like one smooth integrated wheel. 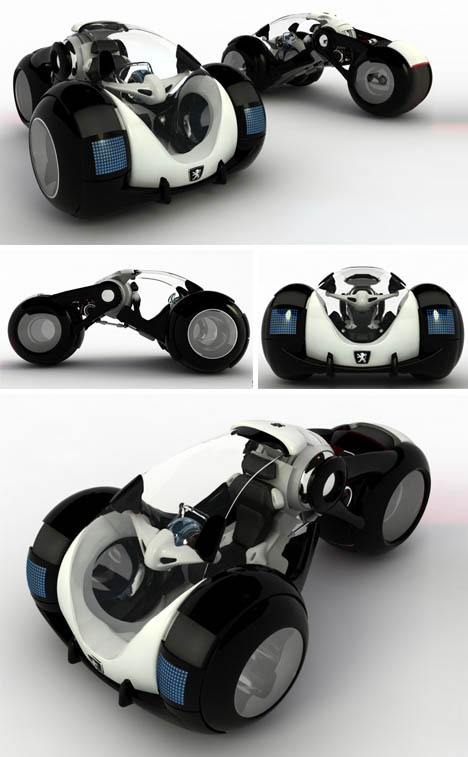 Carlos Arturo Torres Tovar‘s RD 3 is a beautiful three-wheeled concept car with an articulating joint allowing it to dynamically adapt to different road conditions and traffic densities. This intelligent design combines a curvilinear aesthetic with its shape-shifting functionality, each reinforcing the fluidity of the other. 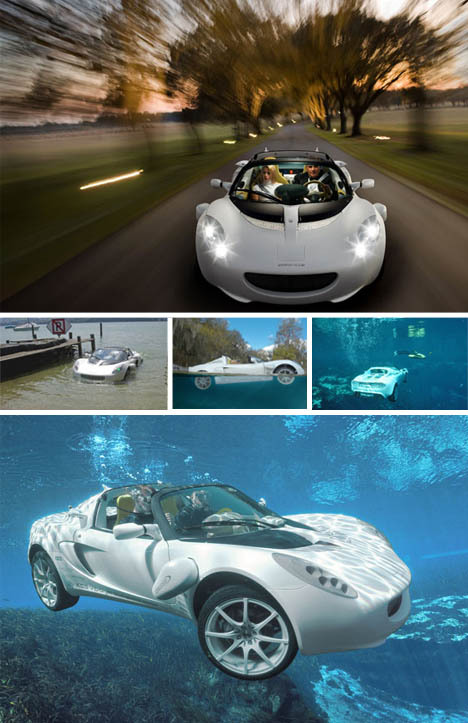 Rinspeed’s sQuba is a bit of James Bond come to life – a car that can successfully cruise underwater. The catch: it is not a self-contained submarine – you still have to wear scuba gear if you want to breath while speeding along in submerged mode. Electric motors to replace the conventional combustion engine were, of course, a must. 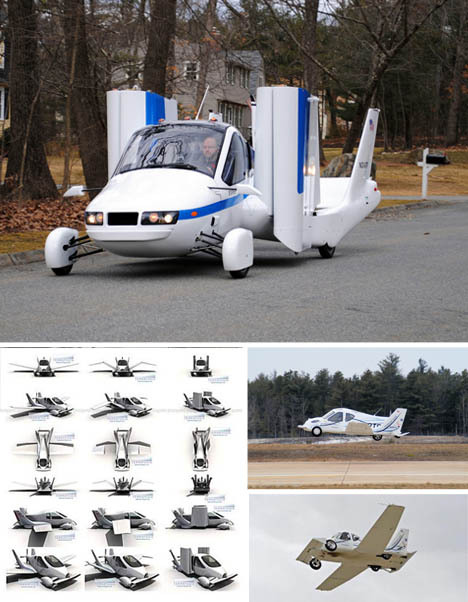 Terrafugia’s Transition may not be able to sail under the water’s surface, but it can fly the friendly skies above with ease (and legally, no less, thanks to new FAA rules about light sport aircraft). On the ground, it can achieve speeds of 100 miles per hour – then, with a flip of a switch inside, the driver’s seat becomes a cockpit on the fly as wings unfold to allow for full-fledged flight. 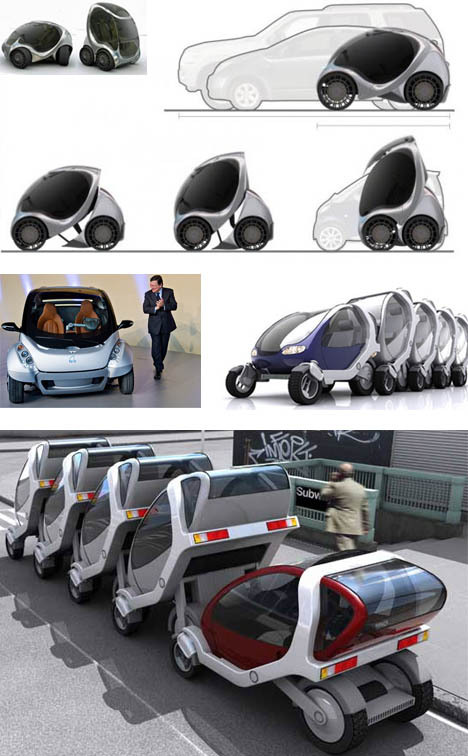 MIT Media Lab CityCar was initially a collaborative effort by faculty and students that is now poised to become a commercial reality. It features “a folding chassis to occupy a small footprint when parked, drive-by-wire control, front entry and egress, the ability to spin on its axis, and “Robot Wheels” with integrated electric drive motor, steering motor, suspension, and braking.” Independently suspended and controlled, the all-direction wheels plus a self-compacting body make any parking spot possible. 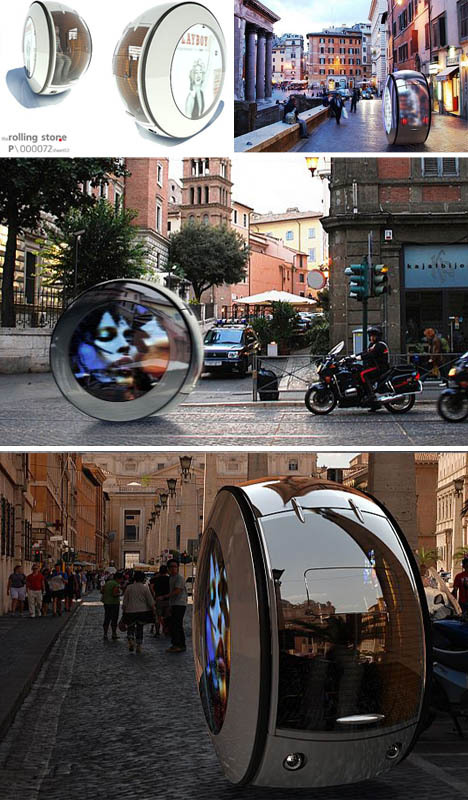 Just imagine a city populated with super-compact smart cars you can stack in the smallest of spots – coming soon to a corner near you.